We all have a recipe that is our go to, our pull out when its late and you can think of nothing else, and our favorite plate to curl up with and makes you love it over and over again. I have two. First is taco…well…anything. Taco whatever. You pour meat, cheese, veggies, sour cream and salsa in a bowl and I. AM. IN. The other is margarita chicken. I first discovered this recipe here and made it randomly for my family like a trillion years ago. Since then it as expanded into the base recipe of so many of my house favorites. Margarita chicken salad, Margarita chicken pasta, whatever. It’s delicious and perfect and I cannot believe, in 8 years of blogging, I have not actually put this up here. For shame on me, for shame. So here we are, an easy, go to, can be added to anything, recipe that I just hope you will love as much as I do. Heat coals or gas grill for direct heat. To make dressing, in small bowl, stir margarita mix, oil and vinegar with wire whisk until well blended. Measure ¼ cup dressing for basting chicken; reserve remaining dressing for serving. 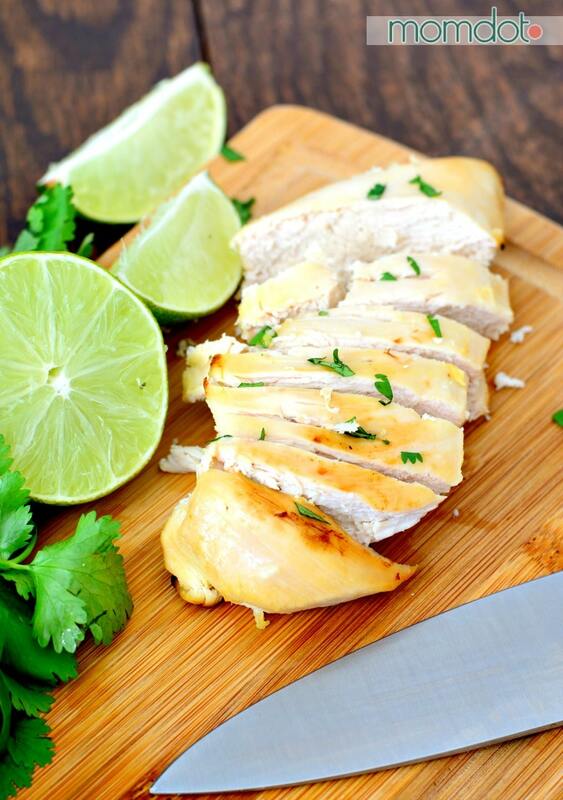 Cover and grill chicken over medium heat 15 to 20 minutes, turning and brushing occasionally with ¼ cup dressing, until juice of chicken is no longer pink when centers of thickest pieces are cut. In large bowl, toss salad greens, chicken and strawberries; divide among 4 plates. Arrange mango and avocado around each salad. 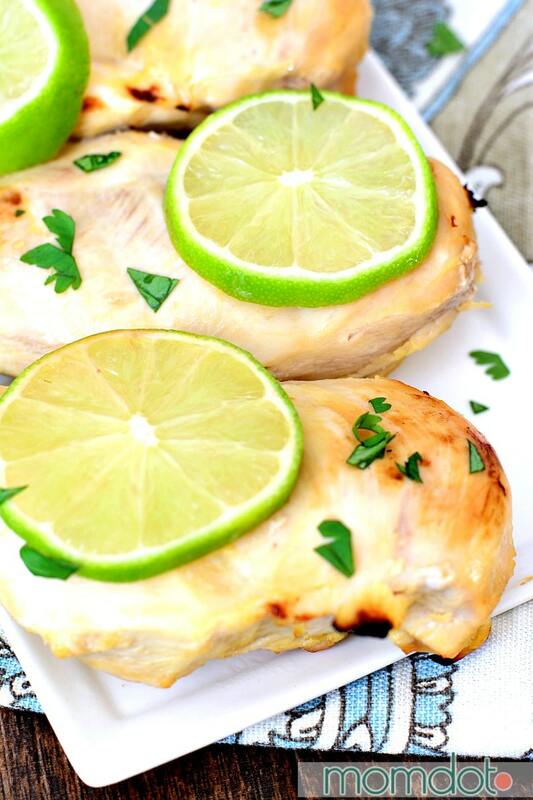 Do not forget to follow me on Pinterest and get more recipes like this! Heat coals or gas grill for direct heat. To make dressing, in small bowl, stir margarita mix, oil and vinegar with wire whisk until well blended. Measure ¼ cup dressing for basting chicken; reserve remaining dressing for serving. 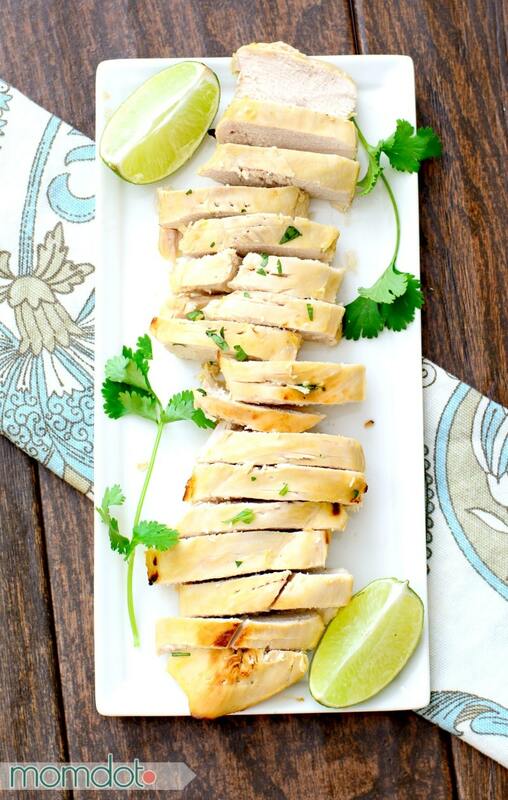 Cut chicken into slices. In large bowl, toss salad greens, chicken and strawberries; divide among 4 plates. Arrange mango and avocado around each salad. Sprinkle with cilantro. Drizzle with reserved dressing. « Rainbow Waffles: Taste the Rainbow!